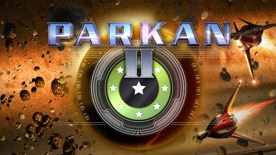 Parkan II is an original concept game that will allow you to feel as a pilot of a spacecraft lost somewhere in the universe. The players are to explore hundreds of solar systems, take part in a series of fierce battles and meet a new enemy - a mysterious creature calling itself Gegemaunt. Become a pirate or mercenary, get money to buy the most powerful cruiser and show them all who is to be the new master of the galaxy. Unforgettable adventures in the Parkan II universe await you!